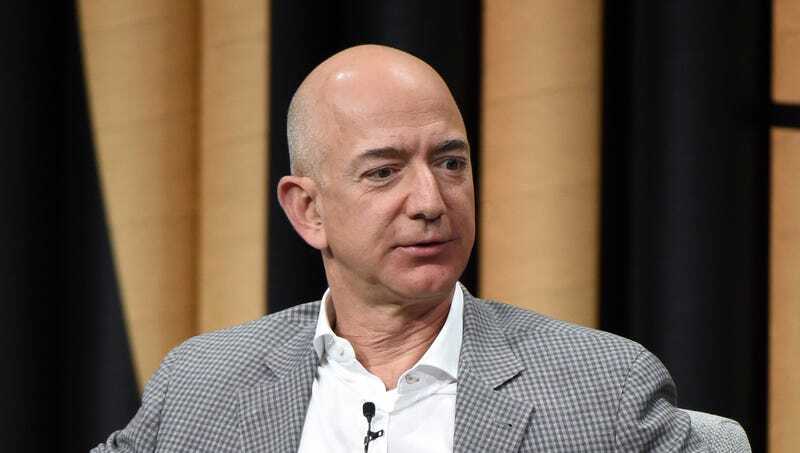 SEATTLE—Deciding at the last minute to hold off due to ethical concerns, Amazon founder and CEO Jeff Bezos reportedly set aside his latest cost-cutting initiative Wednesday after realizing it was actually human slavery. “On the surface, it seemed plausible—owning our employees’ bodies, implementing a mandatory 18-hour workday, restricting their movements, and not compensating them with anything besides minimal food and shelter—but then it started to sound really familiar in a bad way,” said Bezos, who acknowledged his fears were confirmed when Amazon’s general counsel kept reporting back that such labor arrangements had been illegal throughout the United States since 1865. “It’s too bad; the increased efficiency and cost savings would have been tremendous. And now I have to go explain to our shareholders why I spent $1.8 million outfitting all of our managers with bullwhips, shackles, and branding irons.” Bezos went on to describe the setback as temporary, saying it wouldn’t matter in five to 10 years when his entire workforce was robots.